The other day a friend sent me a video clip of from a show on HBO called Last Week Tonight with John Oliver. In the video, Oliver takes a look at what can happen to you if you get a ticket and can not afford to pay the fee or get a traffic ticket lawyer. I have always liked John Oliver because he has a unique skill of discussing really troubling topics and somehow finding the humor in them. That skill is put to the test in a big way when discussing these traffic ticket fines and what is happening to good people all over America. Here are 6 troubling (but very real) outcomes of not paying your traffic ticket fine. The full video is at end of article. #1 – Traffic ticket Fines are not based on your ability to pay. The show tells the story of Harriet Cleveland, a Grandmother who was laid off from a daycare during the recession. Once unemployed, Harriet found odd jobs and sold whatever she could (including her car) to make ends meet. Unable to keep up with her bills, Harriet ended up loosing her home to foreclosure and had to declare bankruptcy to keep her creditors at bay. During that time, she was unable to pay off small traffic ticket violations and her fines continued to grow. One day in August, while she was taking care of her grandchild, the police came to her residence and arrested her. 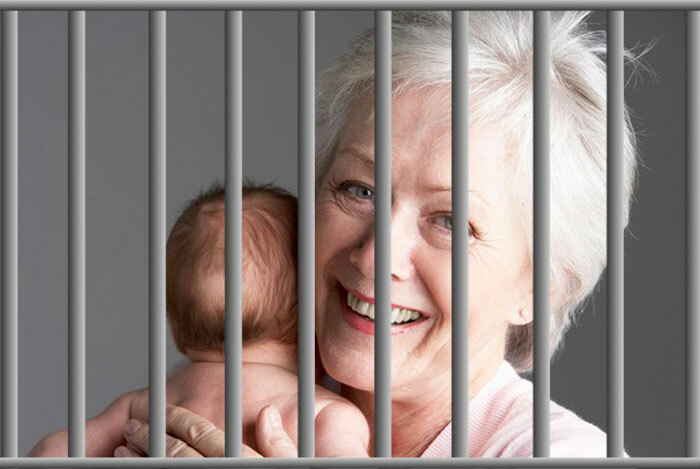 Harriet was ordered to spend over a month in jail! Another similar story that was not mentioned on the show is that of Markis Watts. Markis was shot in the face and unable to work for many months due to his injuries. Markis faced medical bills in excess of $40,000 in addition to having a bullet lodged in his jaw. Finally, after months, Markis was able to find a job just in time for the birth of his new child, a baby girl. However, he had a couple of long overdue traffic ticket fines from courts in Alabama that he was unable to pay. A judge ordered that Markis be sent to jail for almost 2 months because he was unable to pay off his debts. What is wrong with putting people in jail who can’t pay their debts? Some of you may be wondering what is wrong with throwing people in jail who can’t pay their fines. Well, there are many reasons but I will simply state the 2 most obvious. Jails in the US haven’t been used this way since the 1800’s. I don’t think arresting non-violent offenders of traffic laws in mass numbers is a sustainable solution. Many times, it costs more to keep someone in jail than what the fine is worth. That simply does not make sense. Courts understand that all people can not pay for their citations. For this reason, at least 44 states in the US offer payment plans. However, many of these payment plans have initiation fees as well as a monthly payment plan fee. Many people sign up for these plans not realising how they are structured and put themselves in a position where they will never be able to pay off their fine in addition to the plan fees. This is not unlike many financing options marketed towards the lower income of our society with one glaring distinction. Our municipal courts should not be engaging in predatory lending tactics in order to pay for city services. An independent study has shown that some municipalities in St. Louis get as much as 66% of their revenue from court fines and fees. Much of that is from speeding tickets from lower income individuals who can barely afford to pay their fine much less pay a traffic ticket lawyer. #3 – Not paying your traffic ticket fine leads to loosing your license. Loosing your license leads to loosing your job. A Miami Herald investigation uncovered that in Florida between 2012 and 2015, 77% of license suspensions happened due to failure to pay fines. Even more shocking, about 30% of all drivers in Miami dade county have suspended licenses. Since we know that most Americans drive to work, it is no surprise that 64% of drivers who have had their licenses suspended lost their jobs. This same study (done in NJ) does a great job at showing this affects the population based on income. 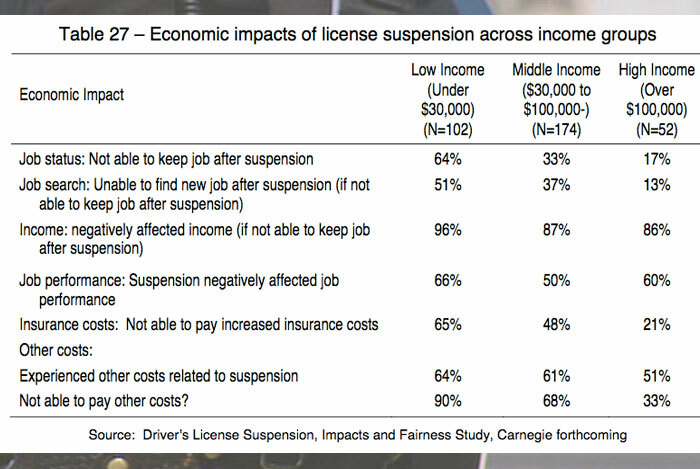 For example, a whopping 64% of people making under $30,000 per year lost their job after a suspended license. For those making over $100,000 per year, only 13% lost their jobs. Read the full study if you get a chance, it is really interesting. This all makes sense if you think about it. Obviously, someone making over $100,000 per year is much more likely to rent a car or take an Uber to work, while someone making under $30,000 most likely is not in the position to do the same. 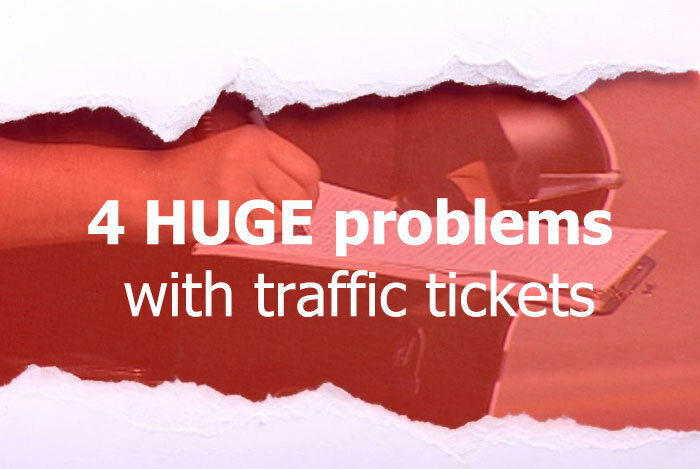 #4 – Private companies have gotten involved to make it nearly impossible for some to pay off traffic tickets. Companies like Sentinel Offender Services and Judicial Correction Services (JCS) are allowed to profit from the payments of people who are late on their traffic ticket violations. Here is how it works. If you get a speeding ticket in Houston and do not pay it in time a company like Sentinel or JCS attempt to collect payment on the cities behalf with no charge to the city. However, Sentinel and JCS prioritize their fees so any payment you send they take their cut first and if anything is remaining it goes to the city. In many cases there is no money left to apply towards the actual ticket. This proves to be a never ending cycle of payments that never effect the balance of the ticket for low-income individuals. John Oliver provides an example of a girl who received a $25 ticket for not wearing a seatbelt. Including a $16 count fee the total cost of the ticket was $41. She was unable to pay and a JCS took over collections. On top of the $41 JCS placed a $35 monthly collection fee. So if you can only afford a $20 payment this month, that leaves a $15 balance on the collection fee and doesn’t change the principle amount of the ticket. The next month the total bill would be $91 [$41 (original ticket) + $15 (remaining collection fee) + $35 (new collection fee)]. A hamster wheel of hell indeed! The root of the problems that we covered here is that these fines are not based on a persons ability to pay them. If a millionaire and a homeless person get a speeding ticket, the fine should not be the same. I read an article about how the traffic fines in Finland are based on income. The article provides an example of a millionaire business man speeding on his motorcycle getting the equivalent of a $103,000 fine. The article states, “Income based fines could introduce fairness into a legal system that many have shown to be biased against the poor“. My Traffic Tickets is not a law firm and does not give legal advice. Any information you submit or enter through this site may not be protected by attorney-client privilege and may be provided for the purpose of determining your need for legal services. All legal representations are performed by a participating attorney.